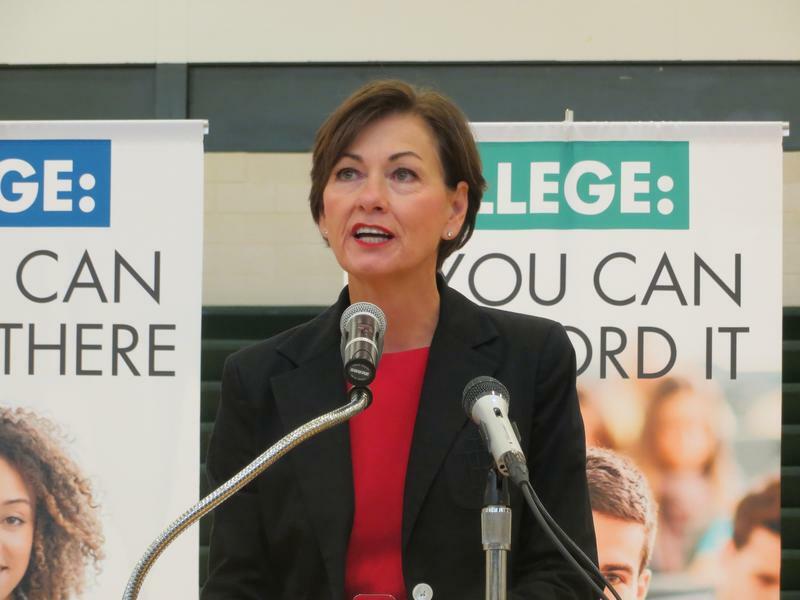 Governor Kim Reynolds today reacted with emotion to the ongoing controversy involving NFL players kneeling rather than standing during the playing of the national anthem. The protest has grown as more players express opposition to racial injustice and police brutality across the country. The Associated Press reported that on Sunday, over 200 athletes declined to stand, while others locked arms with them in solidarity. Others declined to come out on the field for pre-game ceremonies. At her weekly news conference, Reynolds said she supports freedom of speech, but urges the players to respect the flag. “Don’t take a knee,” Reynolds said. “Get out there and make a difference." She added that the professional athletes are giving the wrong message to young people who look to them as role models. The protest intensified after comments from President Trump. "If a player wants the privilege of making millions of dollars in the NFL, or other leagues, he or she should not be allowed to disrespect ... our Great American Flag (or Country) and should stand for the National Anthem," Trump said in a series of tweets Saturday. "If not, YOU'RE FIRED. Find something else to do!" NFL rules require players to be present on the sidelines during the playing of the national anthem. The league Monday said players that were not present for the anthem yesterday would not face discipline.